I was immediately attracted to this article for two main reasons: 1) I am going to Ireland in the Spring of 2019 for a study abroad trip and 2) I am Catholic so I have some background when it comes to Good Friday. As Catholic Ireland is, it doesn’t surprise me that this no-serving-alcohol-on-Good-Friday-tradition is instituted across the entire country. In the Catholic Church, Good Friday is marked as the day Catholics remember the Crucifixion of Jesus Christ. This is an extremely holy day where traditionally some style of fasting and time of penance is taken seriously. Though the Ireland government is showing respect to the Catholic members of its country, is it morally right to regulate the selling of alcohol in the ENTIRE country as illegal during Good Friday? This plays into a dangerous game when religion plays a part in the political sphere. Are those that don’t celebrate Good Friday now being forced to participate in a system that doesn’t even fall within their beliefs? Thank you for sharing. I think it is very interesting how seriously good Friday is taken in Ireland. I couldn’t wrap my head around the holidays of “Fat Tuesday,” “Ash Wednesday,” and “Good Friday” until probably 5 or 6 years ago. I had an aha moment, but they still don’t stick out as holidays. I find it fascinating that the city more or less shuts down for the holiday. This was fun to read! It is interesting that they don’t sell any alcohol on Good Friday, but that is probably because of their intense catholic background. I really enjoyed watching the video. I recently got accepted into the Ireland program for next spring so seeing things like that and reading things like this have got me so excited for next spring! Thanks so much for sharing all of your awesome stories and adventures. Wow, what an interesting experience for you and your study abroad group. That video made me laugh, although it was really cool to see a cultural tradition embedded even within the college-age community. We can’t say that there’s anything like that in the states, that’s for sure. The whole idea of a dominant religion in country that effects normal things like business hours, etc. is interesting to reflect on because I feel like in the U.S. there is a growing attitude of always having things open even on the most revered holidays. I wonder if in the future, although Ireland is dominantly Catholic, there will be a change in business hours and things being open or universities holding class later due to an ever-modernizing society. Victoria, I love this article because I have always wanted to do a pub crawl here in Duluth, but I have never had the chance. So when I noticed that your article was discussing your experience in Galway and participating in a pub crawl there, it caught my attention! Having been raised Catholic myself, it is so fascinating how important Good Friday is to Irish, as well as the Easter weekend. I wonder how American culture would react if bars had to close at a certain time on this holiday, or if there was national US legislation that made it illegal to serve alcohol on Good Friday? It poses a lot of questions in terms of religious practices, especially how the same religion is honored in other countries in different ways, with your experience at Galway being a great example. Great article! 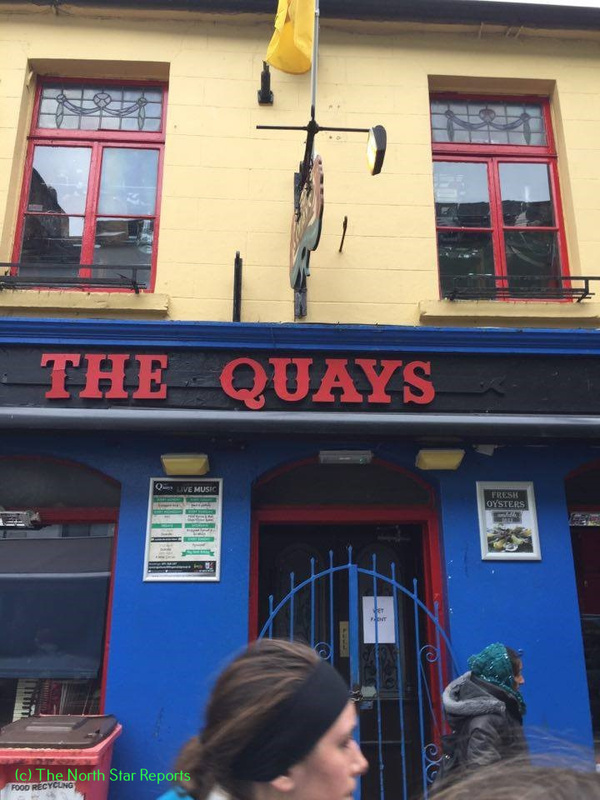 Thank you for sharing more about your time studying abroad in Ireland. You guys were lucky when it came to holidays that have a strong presence in Ireland. You guys got to experience what St. Patrick’s day was like in Ireland and you got to experience Easter. It is interesting to see how the people of Ireland behave so differently during Easter weekend. I never knew that you weren’t supposed to drink on Good Friday. It is also weird that pubs close completely down. It is as if Ireland turned into a different country for a day. What a cool thing to experience! Reading about your Easter adventure in Ireland was really fasinating for me. Traveling abroad is something many students do not get experience. It’s also really interesting for me, as a Catholic, to see how other countries and cultures celebrate the same holidays I do. It seems to me, that as a Catholic in the United States, we do not celebrate, so to speak, many holidays as traditionally as many other countries with a large catholic population. I have seen celebrations of church holidays celebrated in small communities in Guatemala, and they are much more vibrant and interactive than anything I have ever experienced here in the States. It’s amazing to me how the same religion can celebrate the same thing so differently. It sounds like you had a very interesting experience. I think that it is very unique and cool to experience how local customs and celebrations can bring a city to a standstill in a matter of hours. I bet you learned more about Irish culture in that day than you would have on a normal day. You got a unique view into the celebration of a sacred holiday to them, albeit ruining your night of pub crawling. In the US, I know several bars that are open on Christmas because some people like to gather there and spend time with people they know when they have nowhere else to go. I wonder how religion and holidays affect businesses around the world? Great article! It is so interesting to see how holidays are celebrated abroad. My family is Catholic (though we don’t really go to church), so holidays are more so just family get-togethers rather than days of religious observations. I do admire that even though there were a good amount of tourists in Galway, the community stayed true to its values & closed their doors. Bummer for you guys, though, but I’m glad you still got to have some fun! I really enjoyed your article. I went to Ireland last year over winter break so I can connect really well with your experiences over there. I am also catholic, so I can believe that they would do that on good Friday. When we were in Ireland, nearly everybody there we talked to and got to know were Catholic. It is the main religion in Ireland and they are very proud of it. I always think it is fascinating to see how religions in other countries affect holiday activities. Next, Ireland loves their pubs. We stayed right next to Temple Bar in the nightlife of Dublin, every night of the week you could hear singing and pub songs till at least 4 in the morning. Sleep doesn’t matter when you are having fun right? 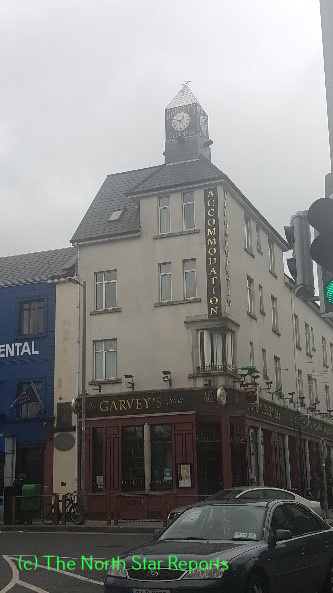 All the pubs are extremely welcoming and chatty as well, I had many great conversations and made great friends who currently still reside in Ireland. For a Catholic who likes to have fun, Ireland is the perfect travel spot for me and I recommend it to anyone looking for a place to travel. You will have the time of your life. My entire family is Irish and not surprisingly Catholic, so I very much enjoyed reading your article. I too had no idea that it was illegal for alcohol to be sold on Good Friday. I know for a fact that my grandmothers would be very stern about that idea as well. I am sure that even though it may have been a disappointment that all the pubs were closed, it also must have been a very interesting experience. Most people would not get the opportunity to see what you have and that is a very fascinating thing. I will keep a mental note though to make sure that I do not plan a pub crawl on Good Friday. I am not Catholic, nor am I that religious, so I don’t know much about the meaning behind Good Friday. All I know is that my family celebrates Easter. But from your article, it is clearly demonstrated the power and importance of religious holidays to those who are apart of and practice the religion. That being said, I like you, found it different than what I am used to that the pubs closed down because of Good Friday. That is interesting to me. I wonder how those who are not Catholic, or Christian, are affected by laws, similar to the one prohibiting the sale of alcohol on Good Friday, that are due to Catholic traditions and celebrations. Thank you for sharing! What an experience you’ve had! It’s obvious, especially after reading your article, that many people don’t think about religious holidays while traveling abroad. For me, it’s often why I travel, but I have never considered travelling to a predominantly Catholic country to observe how they participate. This does make me wonder how many tourists enter other countries during their dominant religious holidays. Do you think they are surprised and possibly disappointed by what they find? Coming from a devout Catholic family it’s no surprise to me to see a country that reveres Good Friday so much. I know in my family Good Friday is a very somber day with not much talking or really doing anything. I think the fact that Ireland seems to be a pretty Catholic country that they may take religion more serious than us here in the States. It’s interesting to learn that the sell of alcohol is actually illegal. I wonder how that would go over here, I don’t think people would take to kindly to that. Really interesting article and thanks for sharing! 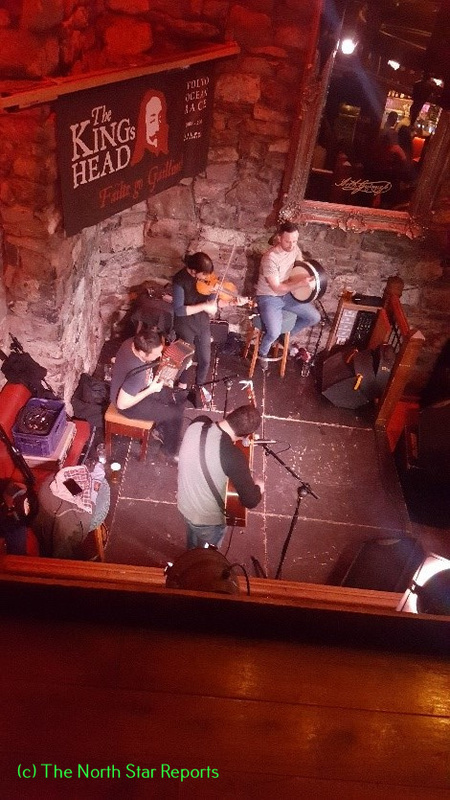 Thank you for sharing your experience in Ireland! I wanted to read this post because Easter is just around the corner! Reading your article, I couldn’t help but compare it to how the Philippines would celebrate Easter weekend. My memory is a little blurry but from what I remember, there’s a lot of things that go on during this time of year in the Philippines. But there’s one practice that still kind of traumatized me today. This particular ritual is called “Padugo.” This is when men would walk around town, barefooted, blindfolded, and without a shirt. Usually, they would have someone make cuts on their back and stimulate the bleeding with some type of rope with wood sticks at the end. There are also men that would crawl around town with people hitting them with the sticks. By the time Good Friday comes, there’s one man that would act like Jesus and the town would crucify him. I remember celebrating this occasion for a whole week. Reading this post makes me miss the Philippines because it’s so much different from what we do here in America. Another reason why I wanted to read this post was that this week, our World History I class is reading chapter seven of Worlds Together World Apart by Tignor et al., and it was interesting how they mentioned Jesus towards the end of the chapter. It talked about how a Roman governor, Pontius Pilatus tried Jesus or Yeshua ben Yosef and was guilty of sedition and executed by a standard Roman penalty, crucifixion Overall, thank you for this amazing post.